The 41st president was self-effacing, funny and nice -- even when he disagreed. Decency -- that’s the first word that comes to mind when thinking of George H.W. Bush. He was a decent, self-effacing, funny, nice man. And he brought those traits to the presidency. It was tough for Bush to score many wins in his presidency as he faced a Congress run by a large and increasingly partisan Democratic majority. He did squeak out votes of approval to use the U.S. military to drive Saddam Hussein out of Kuwait and felt strongly that it would have been wrong to pursue the invader back to Baghdad. (Greg Mathieson/REX/Shutterstock) George H.W. Bush in 1985. Bush disagreed often with members of Congress, but he never demonized them. Many were his friends. One of his best buddies was Bob Strauss, a fellow Texan, who served as Chairman of the Democratic National Committee, while Bush held the same role at the Republican National Committee. Strauss called him and told him that his position was like “making love to a gorilla,” the former president told me in the cleaned-up version. “You can’t stop until the gorilla wants to.” The party chairman soon found himself faced with the dicey task of advising the Republican president to resign. It was the decent thing to do. 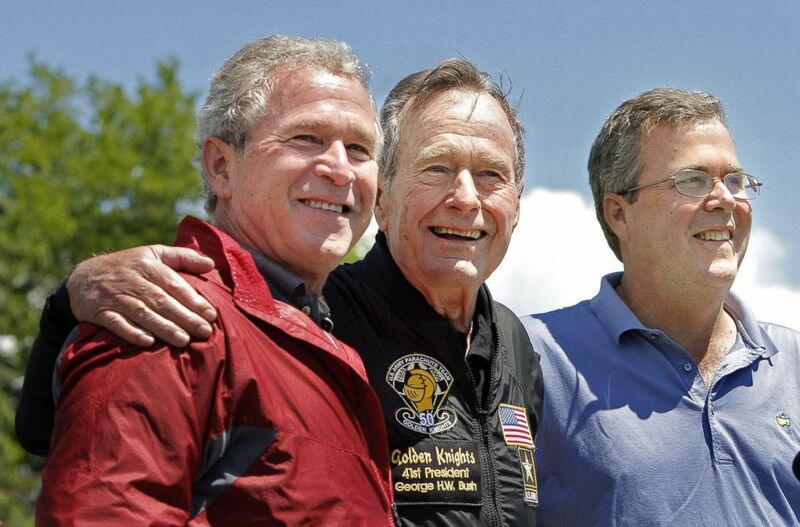 (Gregory Rec/Portland Press Herald via Getty Images, file) Former President George H. W. Bush poses with his sons, former President George W. Bush and Jeb Bush after completing a parachute jump in Kennebunkport, June 12, 2009 for his 85th birthday. When the Soviet Union disintegrated, Bush appointed Strauss as the first ambassador to the new Russia though, as the Democrat told the president, he had never voted for him for anything. 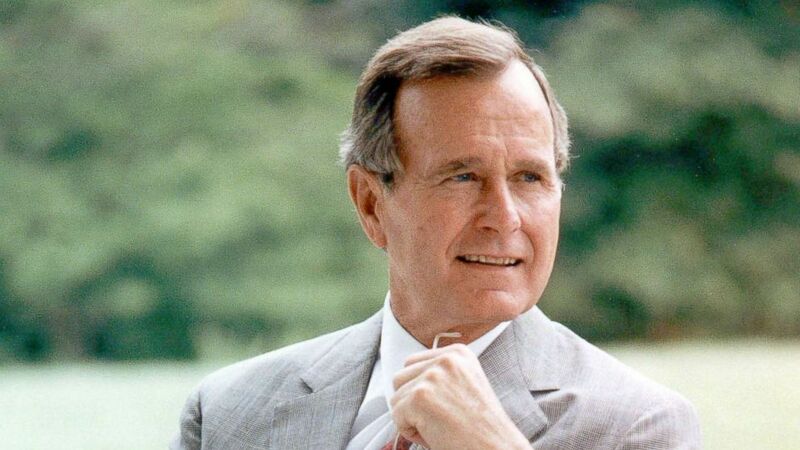 The affection that the Bushes felt for each other in their 73 year marriage heartened the nation when Mrs. Bush died but it was not just her affection that her husband appreciated, it was also her wisdom. Presidential wives “play a very influential role…they can make an enormous difference,” according to the husband of one First Lady and the father-in-law of another. (Patrick Smith/Getty Images, FILE) Former President George H.W. 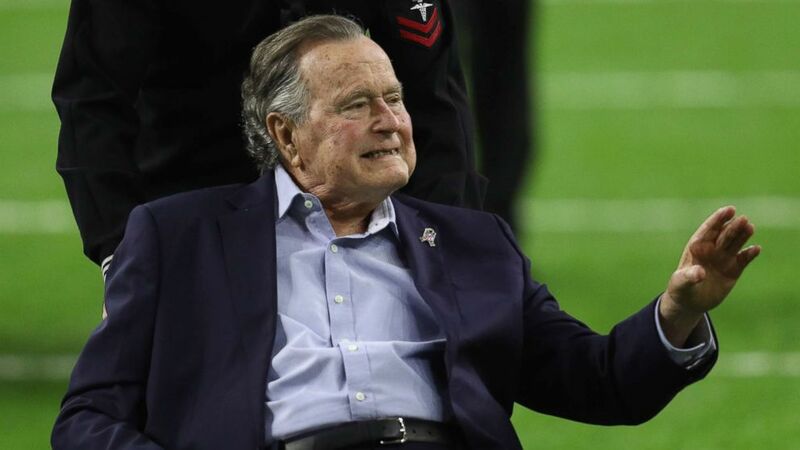 Bush arrives for the coin toss prior to Super Bowl 51 between the Atlanta Falcons and the New England Patriots at NRG Stadium on Feb. 5, 2017 in Houston, Texas. He certainly did, whether you agree or disagree with his policies, he served because he thought it was the right thing, the decent thing, for a dedicated American citizen to do.